Allomorphina pacifica, from Brady (1884). 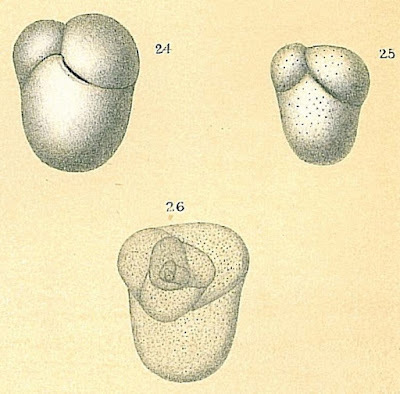 The Chilostomellidae are a group of trochospiral Foraminifera known from the Jurassic to the present day (Loeblich & Tappan 1964). 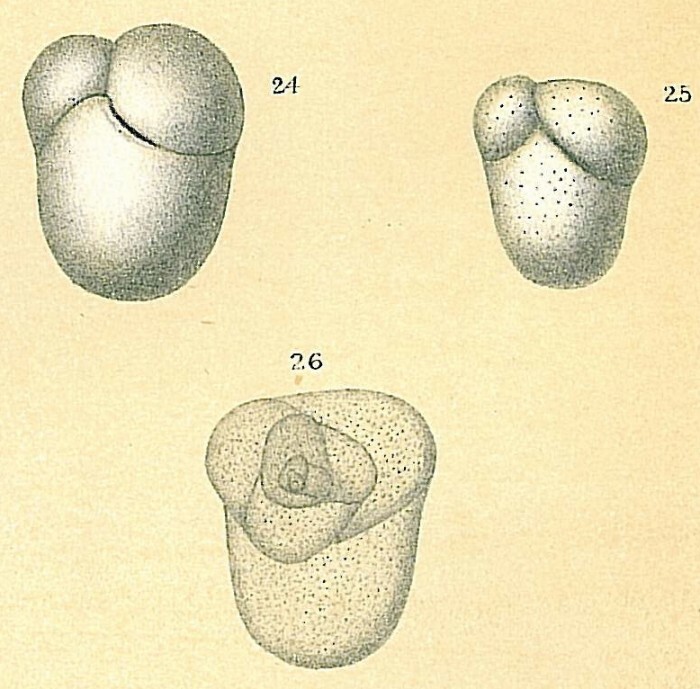 Characters (from Loeblich & Tappan 1964, as Chilostomellinae): Test trochospiral, with few chambers to whorl, planispiral and involute; aperture interiomarginal on umbilical side.